Universal controller surface with 8 touch-sensitive motor faders, LCD scribble strips, USB hub and ethernet/USB Interfaces. Love your X-TOUCH Universal Control Surface, but want even more control over your music production? 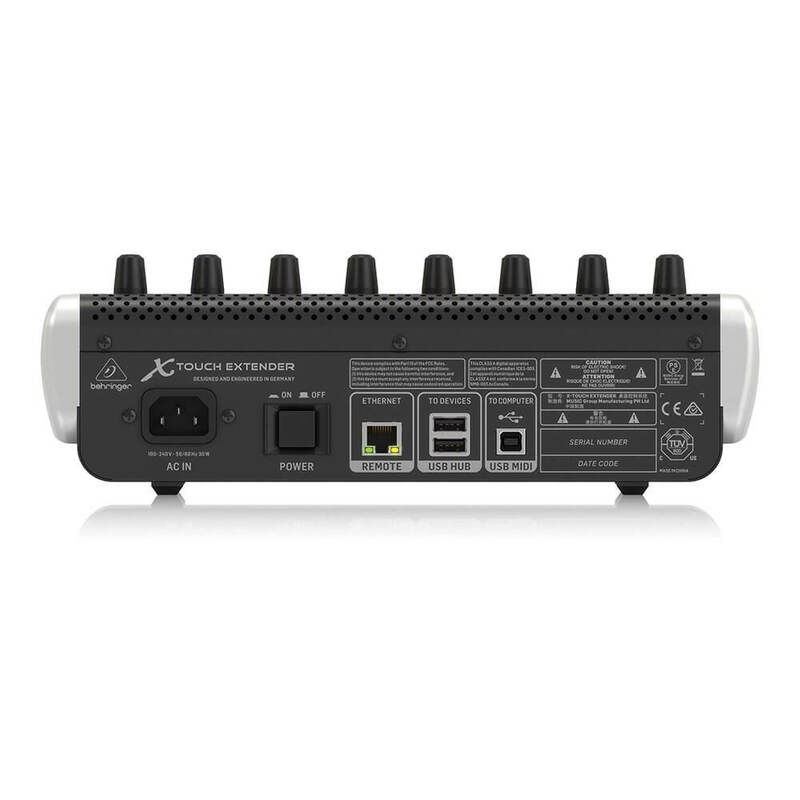 The amazing X-TOUCH EXTENDER is the ideal and cost-effective way to grow your current setup, and can even be used as a standalone controller for remote recording to your laptop. 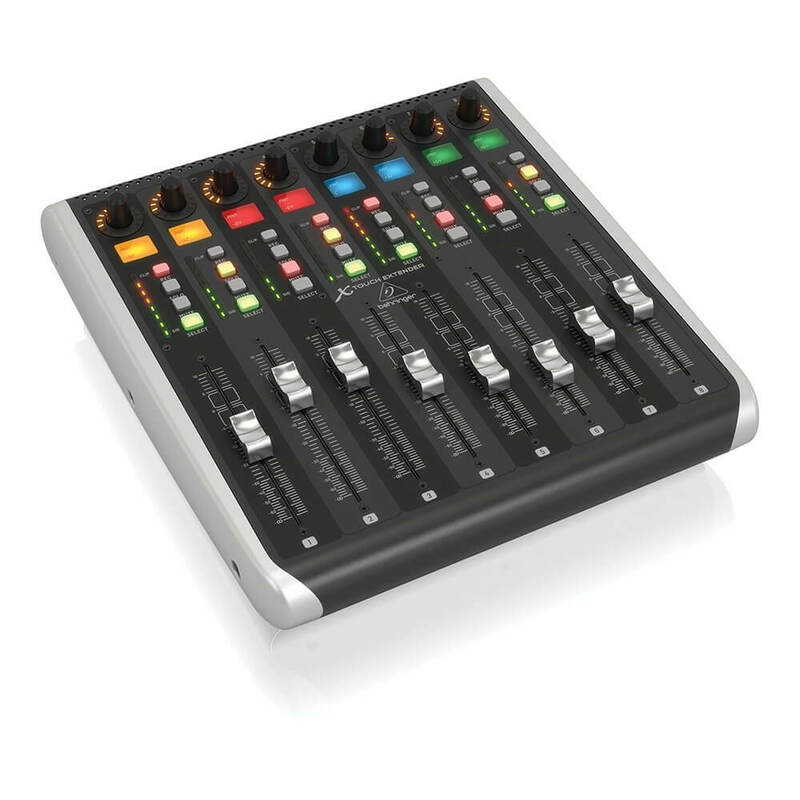 From the 8 touch-sensitive, motorized faders and the 8 dynamic LCD scribble strips, to the 8 rotary encoders, 32 illuminated buttons, and 8-segment LED meters per channel, the X-TOUCH EXTENDER transforms what's on your DAW's screen into one ultra-compatible, feature-packed surface for precision control and a birds-eye view of critical mix parameters. Connectivity is simple using traditional USB connections, plus it also has an Ethernet interface for use with DAWs that support RTP (Real-Time Protocol) MIDI remote control. 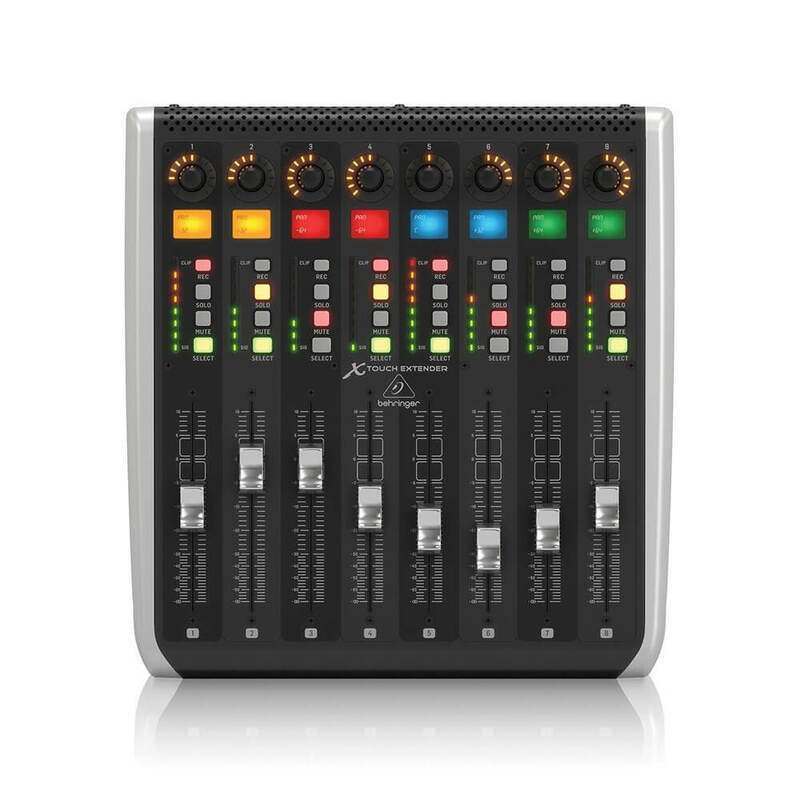 As your production needs grow, you can combine multiple X-TOUCH and EXTENDER units to emulate a large-scale control surface all you need are a few standard USB cables. When it comes to integration, the X-TOUCH EXTENDER has you covered with the most widely used protocols in the industry. With included support for HUI* and Mackie Control*, you can be sure it will work seamlessly with all compatible music production software, allowing you to focus on what counts the music. Your music is the embodiment of your imagination and creativity. Your controller should be equally inspired and dynamic in its response to your creation. 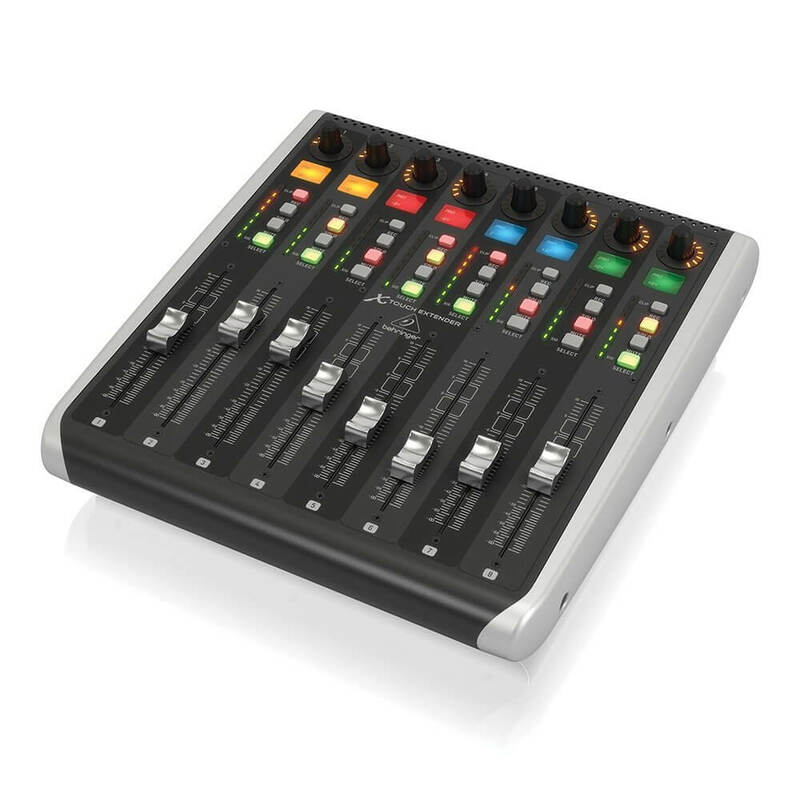 That's why the X-TOUCH EXTENDER features 8 fully automated and touch-sensitive 100 mm motorized faders. Every move or automation you write can be seen in the movements of each fader in real time, perfectly synced with your DAW. LCD scribble strips grace the top of each channel fader, providing an instant visual readout of which track and parameter you are adjusting totally eliminating old school tape-and-marker labelling.